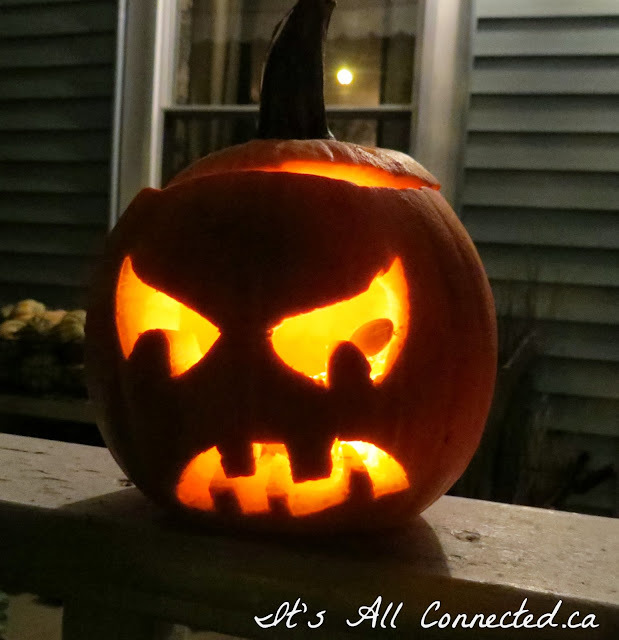 It's All Connected: Happy Hallowe'en! 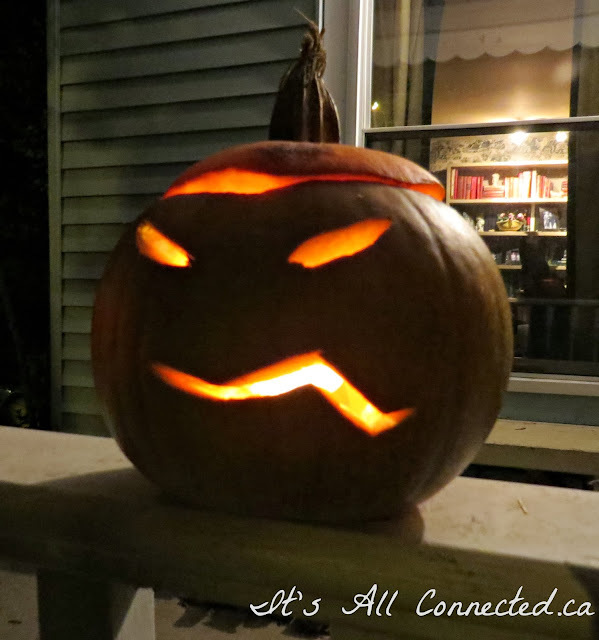 Ooo, Ooo went the wind and out went the lights and five little pumpkins rolled out of sight. Can you believe I remember that song from kindergarten? Now, that's scary! But pretty cute! Happy Halloween! I'm taking a year off of teaching Pre-K (because we moved). It warmed my heart to read that very familiar rhyme! Cute (I mean scary) Halloween porch! How fun! Love the cat one! Cute pumpkins! I haven't heard that song before...fun! Charming. 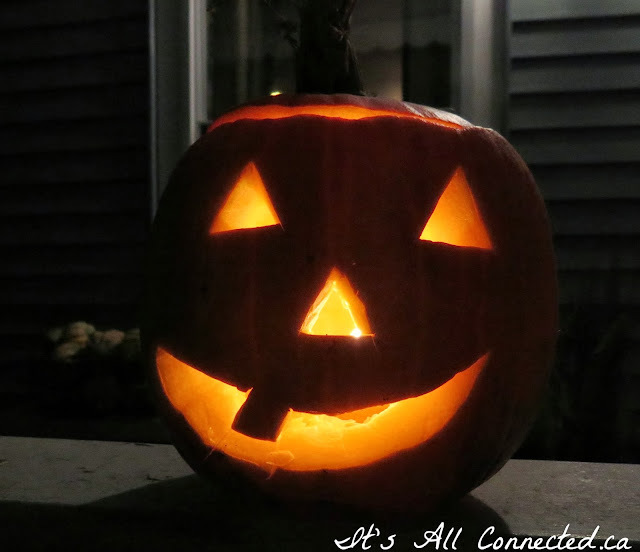 Did you carve those cute, cute pumpkins? Good memory, lol. Nice pumpkins. Cute song Maureen ... I thought you made it up until I reread you post. Love the pumpkins too. Hope you had a lot of kids come by to enjoy them. delightful that you remembered -- and illustrated -- that great Halloween song. Your pumpkins are awesome, and what a great song! I don't recall ever hearing it before. One of my favorite Halloween songs Maureen. 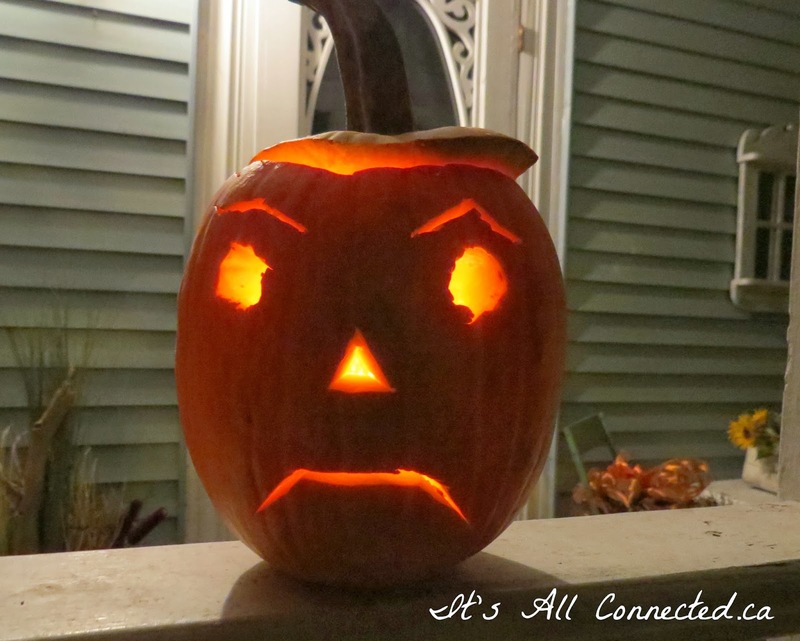 Your pumpkins are so fun and went with the words perfectly! That cat one is amazing! Lol at the kindergarten song it's amazing hat we remember and the important things we forget. 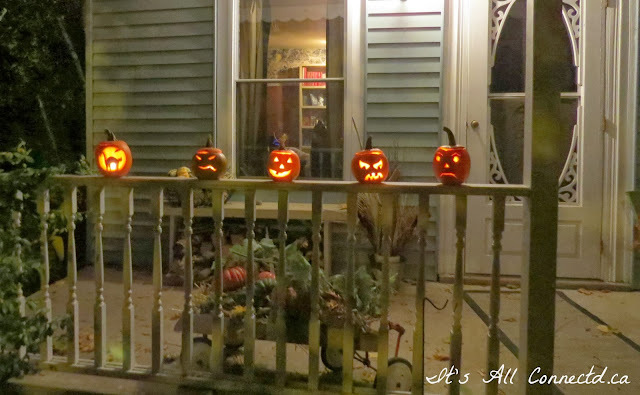 Maureen, you had me at the five jack-o-lanterns, sitting pretty and all in a row....and then...Rhythm and rhyme! What a treat on this night of tricks; a great memory is, surely a treat for the heart and the soul. 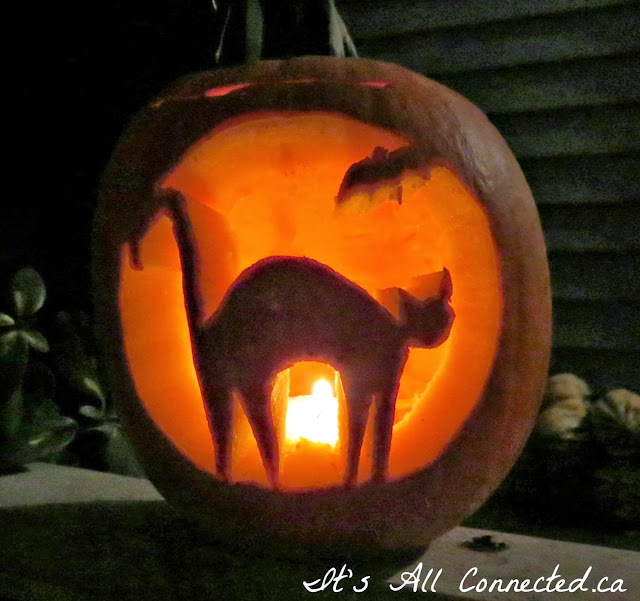 PS: That cat and bat carving is great! I was just singing that song with Jacob the other night! They still teach it in kindergarten because he already knew it! Love your pumpkins...I'm a little behind here! They look so cute sitting on your porch and suit the rhyme so well. I cut my first pumpkins last week, my boss asked me, but they didn't last long unfortunately ! I too remember that song. Can you believe I didn't carve a single pumpkin this year. Glad you did my share. Too cute. Happy fall my friend! Don't forget to enter my giveaways all week long.